So much of your work relies on the interaction between technology and performance, and I'm wondering if you can explain the intersection of new media and performance as you see it, in your work and in general. Today we deal with a torrential flow of information, a very rapid flux that is contingent on volatile temporary contexts. Beyond high speed, some contextual factors that influence artworks with digital networked technology are the multiplicity of uncontrollable sources of information, unpredictable human and algorithmic interactions and unstable environments, so nothing can happen twice in the same way. Moreover information and media are always more ephemeral, they disappear quickly, often without leaving traces. Data, software and devices continually change, for instance: You can't keep a tweet forever in the streamline, as well as the interface of a social media platform or a smartphone's Operation System. Ultimately the controversial private ownership and restrictive policies of some technology and data don't even allow to the artists to own and maintain their own work. These conditions require us to consider most of the artworks done within networks as a type of contemporary live performances, a thesis reinforced by the participatory elements brought by the audience, whose involvement is often the main aim of the works. For these reasons I prefer to display offline installations about my works within networks, which is a solution for conserving performance art that’s been adopted for more than half a century already. To preserve the performance, I translate concepts, material and documentation of the live performances into durable objects, materializing pure information and the processes of making the artwork and live network interventions. I like to define my artwork as the sculptural performance of information's power, with correlations to Joseph Beuys’ idea of Social Sculptures, who illustrated art's potential to transform society by using structures in society made by people, language, actions and thoughts. The material of my sculptures is information taken from its mine, refined to a raw state and then reshaped in a new artistic form that drives and involves people in a new configuration of thought and reality. Although they are sculptural works with elaborate structures, they don't persist for long time. They endure just for the time of the information's disposition and environment conditions, and for this reason they remain live sculptural performances. Your P2P Gift Credit Card Gift Finance piece imagines a form of wealth sharing based on a Gift Economy combined with Peer-to-Peer architecture. A similar kind of post-monetary form of currency was originally envisioned as the goal of PayPal. Do you think there's a similarity between artistic practice and business practice when creating forms of utopian living? No, I don't think that there are correlations between business and artistic practices in creating economic alternatives. I’d define these forms of artistic practices a bit more so we should make clear that the words economy, finance and business have different meanings and scopes. Business in particular is really related to personal gains and activities, which obviously can't be considered in social artworks. Very briefly, economy is wealth generated by trading goods or services and finance is money for money. Gift Finance is a visionary monetary policy, which can be applied to any currency; it describes how the creation and distribution of money should be managed democratically. The P2P Gift Credit Card is the device to make possible the execution of the Gift Finance, in fact through the cards everyone can issue credit without interests for other people. Most of the money in circulation today is virtual and created out of nothing through a major financial instrument called Fractional Reserve Banking, which can be used only by private banks. Gift Finance proposes to allow the use Fractional Reserve Banking instruments by the people in order to issue money democratically and without interest to avoid the downsides of inflation and debt. The money issued is counterfeit virtual money in the currencies that we already have and it’s initially issued on illicit VISA credit cards. As soon as a critical mass of the people join the model, the market will start to accept and use it. This project is a utopian proposition and radical provocation to engage people with critical financial issues, inspiring inventions of financial alternatives and questioning the nature of money, credit and debt. Your Algorithms Triptych from 2009 attempts to bridge the gap between frequently obscure algorithms and a form of direct democracy. At a time when algorithmic power seems to be steadily increasing, what do you see as plausible forms of action to make sure forms of politics like democracy aren't forgotten or subsumed by algorithmic logic? Algorithms are just technologies that empower people thorough formalizing and automating processes of workflow and task organization. As with technology in general, algorithms are neutral tools in themselves, but their design and the aims for which they are built determine if they harm or help people. Algorithmic logic can oftentimes be wiser than humans. For an extreme example, a well-programmed drone may shoot less civilians than a soldier on drugs. The algorithm triptych of Open Society Structures suggests a design to follow during the process of decision-making and societal organization for a direct democracy, but also a representative one. Open Society Structures’ algorithms lead to an egalitarian and virtuous society, much like the set of rules written in democratic constitutions. They should prevent the corruption of spirit and illiberal policies that occur because of humans’ frequent limitations with following common sense. We’ve actually used algorithms to organize society for centuries. Just have a look at visual similarities with the diagrams of the juridical systems of any country and you will find different algorithms to judge crimes, pass new bills and avoid misconduct. Our present democracies organize society through algorithms that legislate, govern and even educate us. For instance, just look at the algorithms that we have to follow to get an education today. With its parameters and conditions, students may feel trapped in a controlled flow that shapes their life. This also suggests that our culture is created and managed by predesigned algorithms. Your engraved white marble series, "Death of the Author 2.0" (2007), replaces the fluidity of knowledge represented by the internet with extreme fixity. What attracts you to that dynamic of contrast? Do you think it indicates the possibility of a liberation that can only exist in cyberspace? The Death of Author 2.0 is the subtitle and theory for the project People Quote People, a mock website that has been divulging misquotations for five years now, with more than three thousand quotations by the most influential historic persons. The project is a radical provocation to undermine the importance granted to authorship and its consequence, conservative regulations to enforce patents and copyright laws. The marble slabs are monuments for the conceptual death of the author because of Internet, like graves with outrageous misquotations. It's true that knowledge in the network is extremely fluid, however, that fluidity may change the course of reality permanently because it's increasingly from the Internet that we start to form our culture. So the fluidity of knowledge on the Internet still generates eternal cultural constructs. This is happening not only for new memes but for instance a Wikipedia entry with some misattributions may spread to books, movies, etc. until it is accepted as correct. Something like this has always happened in history, even Shakespeare's work is not certainly attributed to the right author, and history is unfortunately often written by the last dominant civilization, which erases traces of the precedent. 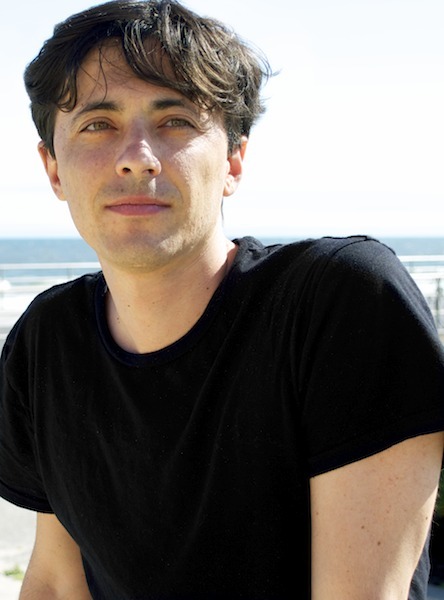 Today, contemporary artists often appropriate and mix works by other artists, like DJs and programmers always do, a tendency well addressed in the book Postproduction by Nicolas Bourriaud, one of the major art critic of today. With the Internet, this process of rewriting the attributions, on purpose or mistakenly, is constant and accelerated by remixing and producing intellectual works. The value of the author diminishes because of the abundance of artistic creation and although we live in a society based on a celebrity economy, the celebrities themselves increase in number and heavily plagiarize works and styles. 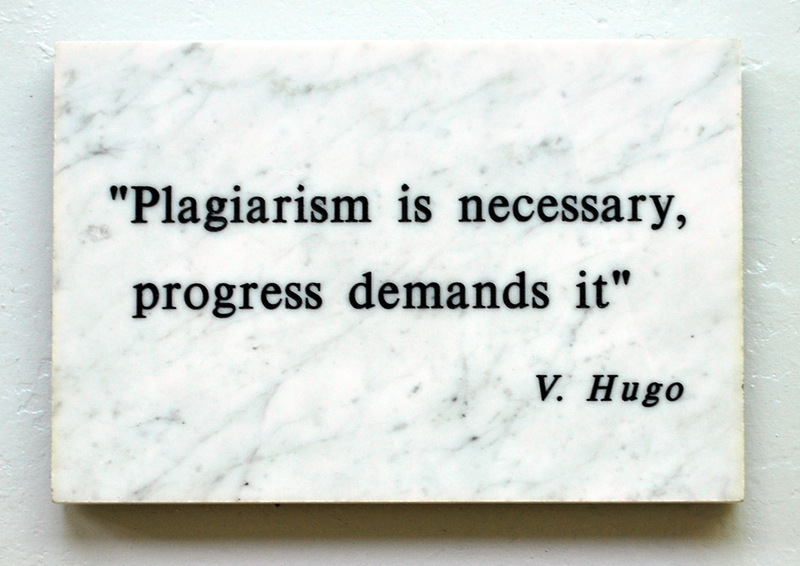 I may infer that plagiarism is the major driving economy of today. However it shouldn't even be considered plagiarism anymore, but just very quickly and globally spread sharing and evolving of ideas. This is how creation became a collective networked process. Since I was a kid. I did the first international successful intervention at 22. I was reading magazine about cyber punks and new media art in italy and then joining some net-art groups. Describe your experience with the tools you use. How did you start using them? Where did you go to school? What did you study? I studied practical electronic in high school and theatre and cinema theory at the university, in Turin italy. I used to be web designer for more than 10 years. Yes, I've been involved in a lot of collaborations and collectives, but often with bad experiences. I'm concerned about the lack of diffusion of new media art in the institutional museums.